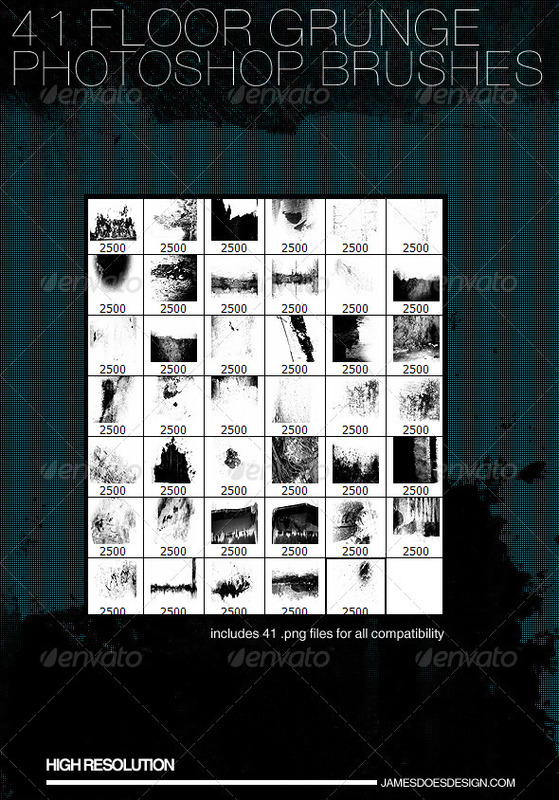 DESCRIPTION:41 Large Floor Grunge Photoshop Brushes made from pictures I took with my Nikon of the floor in the basement. I brought them into Photoshop and created these awesome brushes with them. I’ve also included 41 .png files for compatibility as well as a read me file for those who might not know how to install. This entry was posted in Addons, Grunge and tagged brush, design, graphic river, grunge, Photoshop, Photoshop brushes. Bookmark the permalink. Follow any comments here with the RSS feed for this post. Post a comment or leave a trackback: Trackback URL.